Home > Blog > It’s a scorcher! Is your lawn feeling the heat? It’s a scorcher! Is your lawn feeling the heat? This week the UK looks set to experience Mediterranean temperatures with little or no rainfall. As a result, lawns can soon become stressed and start turning brown. 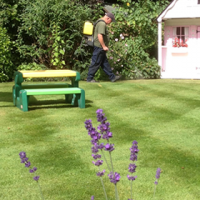 Here are our top tips for keeping your lawn green and healthy through the heat of summer. Keeping the grass a little longer helps it cope better with drought conditions. When conditions are ideal for growth, you may need to cut your lawn twice a week to keep it at a reasonable height and looking good. Don’t be tempted to cut corners and cut it very short in one go. 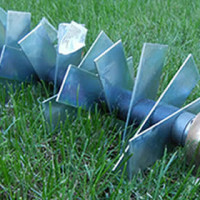 ‘Scalping’ a lawn stresses the grass plant and damages the surface. As a rule, try not to remove any more than a third of the leaf at a time, especially during hot weather. If you’re going away on holiday, mow your lawn normally as close to your departure date as possible. Unless it’s cut while you’re away, the changes are it will be very long when you arrive home again. Don’t remove all of the height in one go. 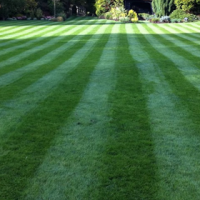 Mow it with your lawnmower on its highest setting, then gradually lower the height with each pass for the best result. 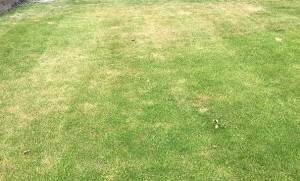 It’s surprising how quickly lawns dry out after a few days of hot weather. It’s essential to water your lawn if you want to maintain its healthy green colour. The most beneficial and the most economical time to water is early in the morning before it gets hot. A good soaking ensures the water gets down into the soil profile. Watering in the heat of the day is wasteful and ineffective as the moisture evaporates. If you have a sandy soil lawn, you will typically need to water more and sooner during dry conditions. Those with heavy clay soil will not have to water as quickly or as frequently because clay does not drain as quickly as sand. 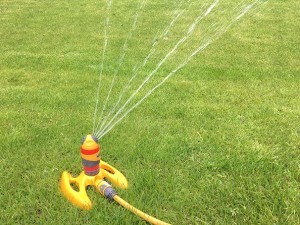 Different areas of your lawn will fare better in the heat, so spot watering may be a good option. Areas around trees and shrubs dry out quicker as they take up a lot of available moisture from the soil. Lawn in shaded areas will typically retain moisture longer because it is not in as much direct sunlight. 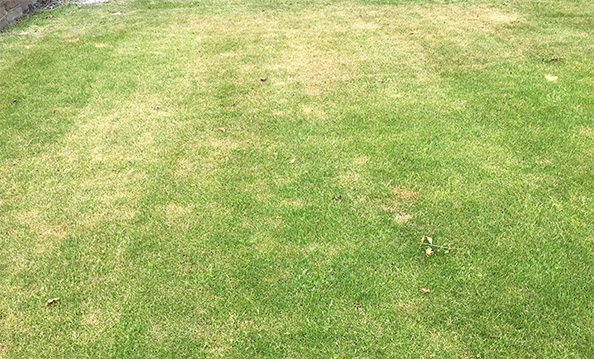 If you choose not to water your lawn over the summer, the grass will turn brown but it is not dead; it becomes dormant and the green colour will return once rainfall returns to normal levels. Don’t be tempted to apply water conservers or wetting agents during drought periods. 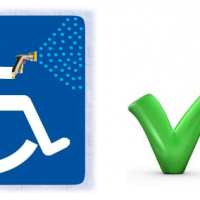 Many people mistakenly think they reduce or remove the need to water, but this isn’t the case. Wetting agents require a LOT of water to allow them to work effectively. They are often used on golf courses and sports pitches as part of a management programme or a recovery programme to address Dry Patch, but are of little use on domestic lawns as an answer to lack of water. They can help a little if applied weeks before drought conditions occur, but they need to be washed in with a lot more water than you would normally apply to get them working effectively. They can also cause soil problems further down the line if used incorrectly. If we are treating your lawn, speak with your local Lawn Master who will be happy to discuss the best way to manage your lawn over the summer. If you’re not yet a customer and your lawn’s letting your garden down, here’s how to get started. 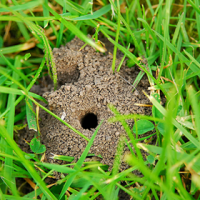 Does Your Lawn Have Mining Bees?